vanadium titanium microcrystal needle free water light meter is a facial cosmetic instrument for water filling, wetting and anti-aging. Using magnetic energy to rotate the high pressure jet principle and using high speed to promote hyaluronic acid and other beauty products, the product is directly injected into skin on the basis of ultra-fine, super high speed and straight out, without injuring epidermal cells. The skin basal layer is about 0.1mm~0.15mm. 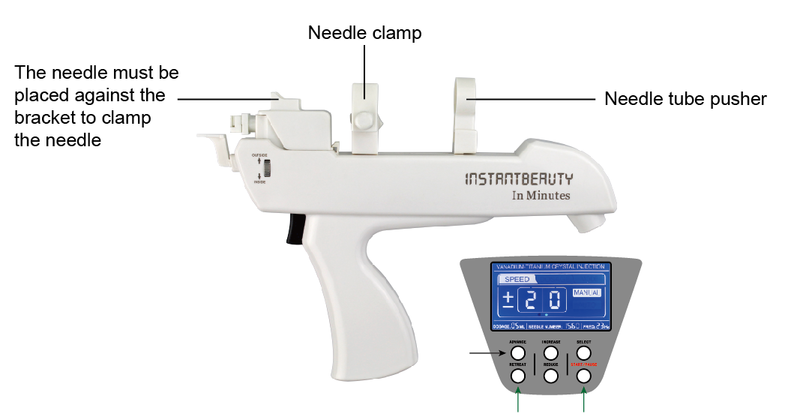 True zero trauma, comfort and painless, to avoid pain and edema caused by injection of needles, is a noninvasive, noninvasive, noninvasive, needle - injected water injection that can really replace injection of a needle. Using the technology of Aeronautical specialized material, principle of magnetic energy rotating high pressure jet, and high speed to push the product, the product can be injected directly to the skin base layer about 0.1mm~0.15mm without injuring the epidermis cells on the basis of ultra-fine, super high speed and straight out. 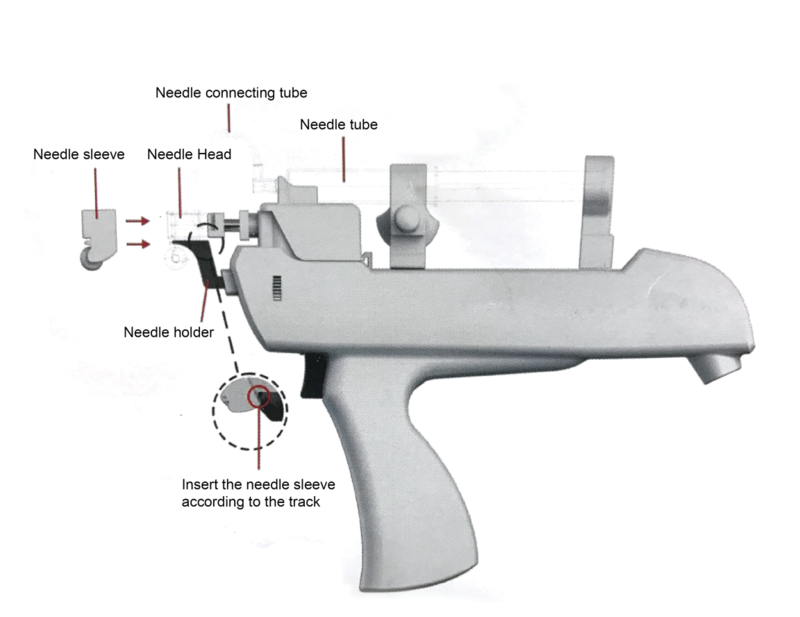 True zero trauma, comfort and painless, to avoid pain and edema caused by injection of needles, is a noninvasive, noninvasive, noninvasive, needle - injected water injection that can really replace injection of a needle. 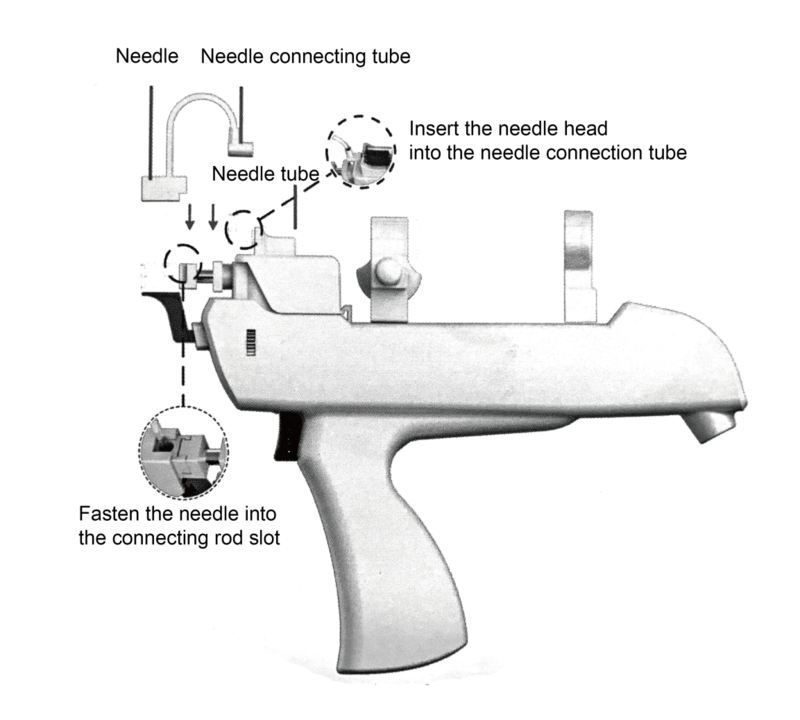 Using the unique 25 needle type hollow needle, combined with the technology of vanadium and titanium hollow, the use of the same dose, the average coverage of each point, is a new breakthrough from the traditional spot filling to the surface filling, and it can be combined with the different skin conditions and needs of the customers with the hyaluronic acid, collagen, botulinum toxin, PRP autologous cells. Different products and other products are tailored to different courses of treatment. 1. Replenish water: it can effectively replenish the moisture needed for cheeks, lips, neck, chest, back and so on. 3. Long term whitening and whitening: stem cells and vitamin C can maintain white skin and tender skin for a long time. 4. Enhance compactness: significantly improve eye wrinkles and lift sagging face and neck. 5. 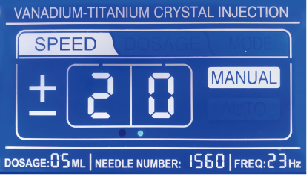 An injection is equal to doing 8000 times of skin care! 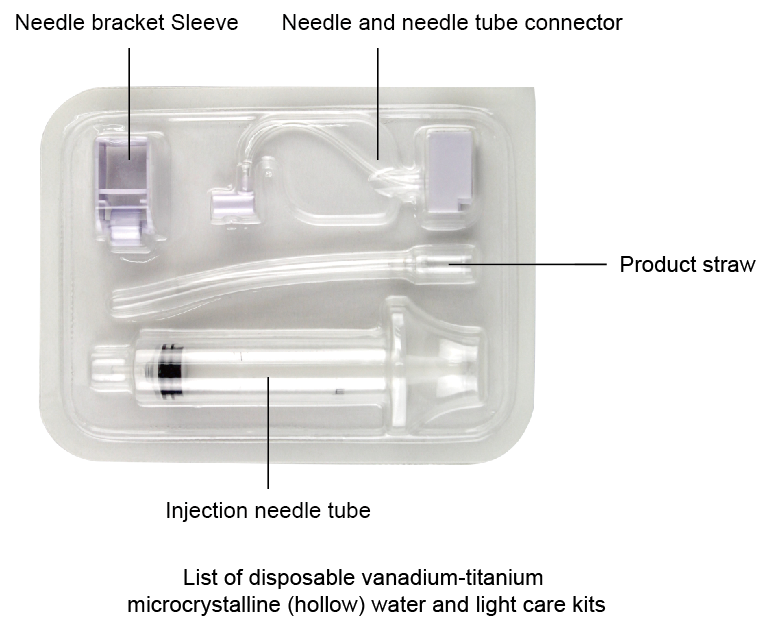 Vanadium titanium microcrystalline hydrated light is the use of hyaluronic acid injection of the skin, hyaluronic acid injection can instantly supplement the injection site 200~300 times of water, the real solution to the lack of water in the direct cortex, smooth skin wrinkles, so that skin is moist and tender and glossy and bright. It contains 6 main beauty components: small molecule BOTOX, HA concentrate hyaluronic acid, plant essence, collagen, stem cells and vitamin C. And the moisture content of hyaluronic acid is high, for whitening and moisturizing, improving dark skin, alleviating wrinkles, acne and restoring skin elasticity, it has obvious effect on skin beauty after operation.